PicToWord Classic Answers, Cheats, Solution Same as What’s the Word Game for iPhone, iPad, Android, Kindle by Kooapps LLC Words Game with screenshots answers. 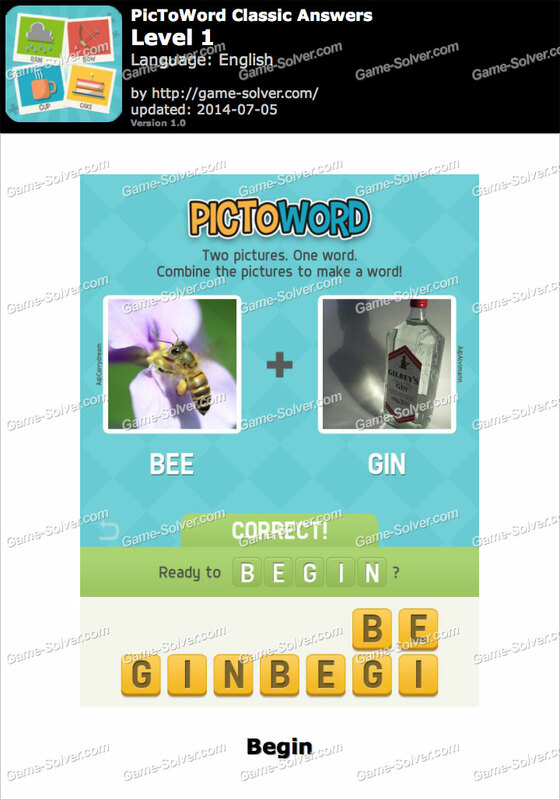 Pictoword – A Simple Yet Addictive Word Game Where You “Read” A Series Of Pictures That Combine To Create A Word! For Example, You’ll See A Picture Of Sand And A Witch. Combine The Two To Solve For Sandwich – A Lunchtime Favorite! When You’re Stumped, Try Saying The Words Out Loud Or Asking A Friend! You’ll Be Delighted By The Challenging And Fun Picture-Word Game Pictoword! Download Pictoword: What’s the Word? This is the answer for PicToWord Classic Level 1 with Cheats, Solution Same as What’s the Word Game for iPhone, iPad, Android, Kindle by Kooapps LLC Words Game with screenshots answers.